Monster 1965 Garage/Punk from Eau Claire, Wisconsin group The Shandells. 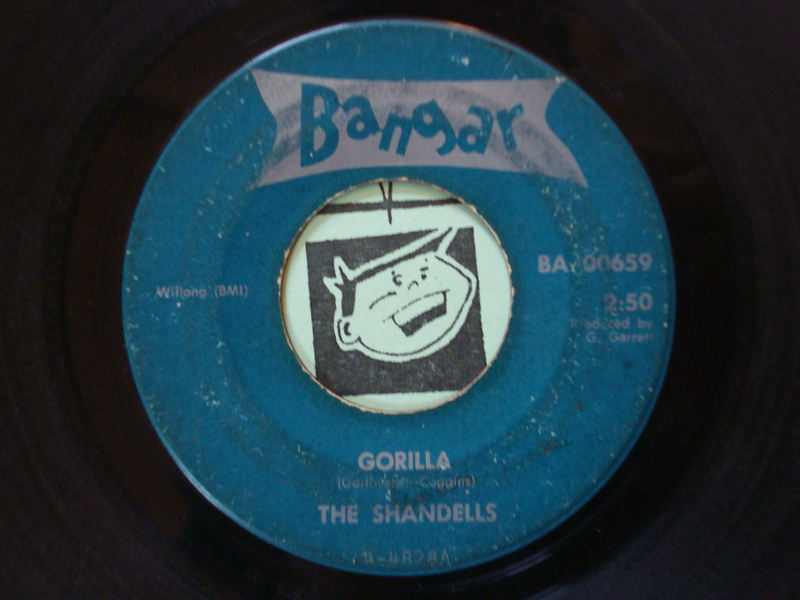 My life except for my love of my girl, family & friends had held little meaning until I heard the Shandells’ Gorilla. Now I understand the meanings and workings of the greater world, and as Gawd as my witness I WILL spread the gospel of the Shandells for an unlighted world! Thank you and my all your disciples be equally blessed!! !